#CSR is Business: Manage it that way. 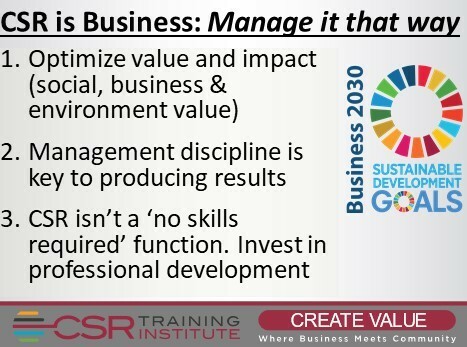 Value optimization and efficiency is as important in #CSR and #SDG impact as any other area of your business. Ignore it and you cost your business, society and often your career.